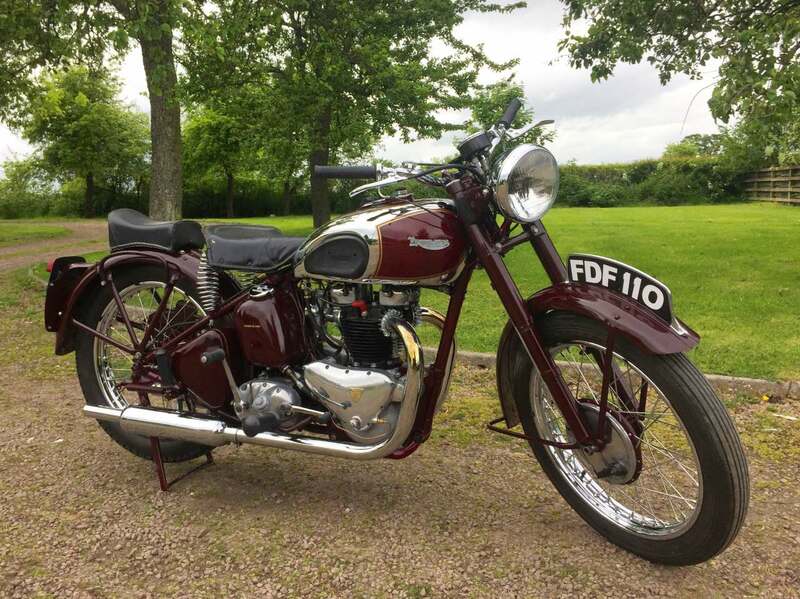 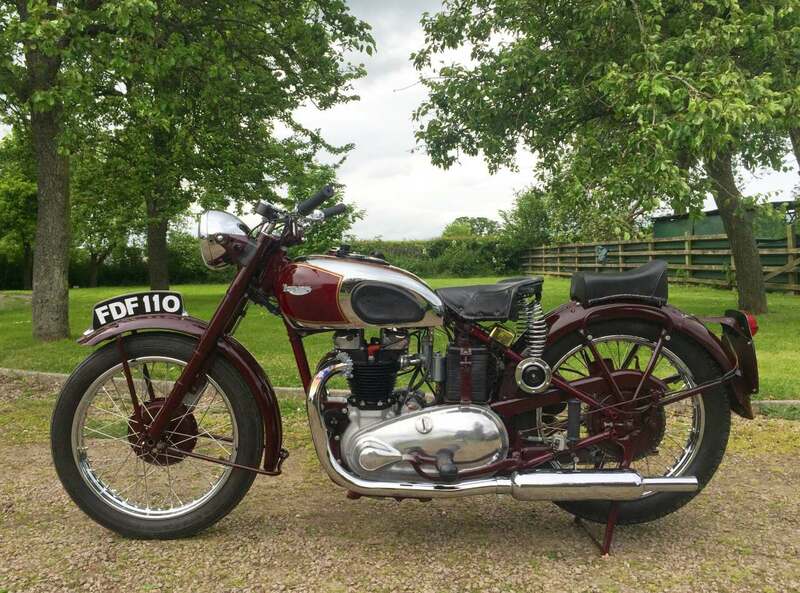 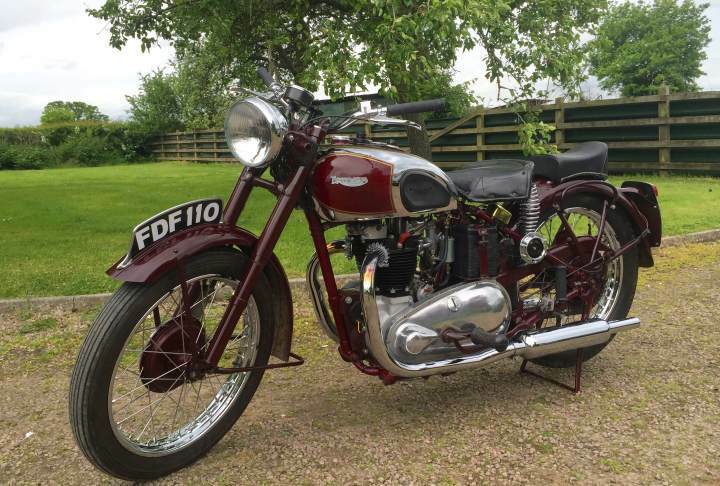 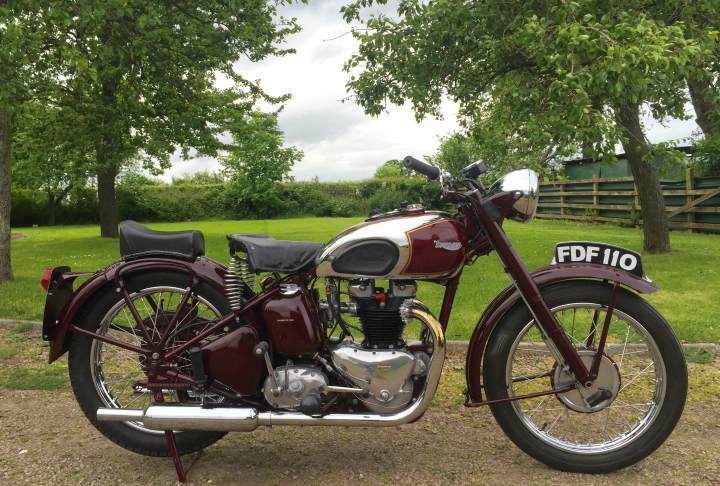 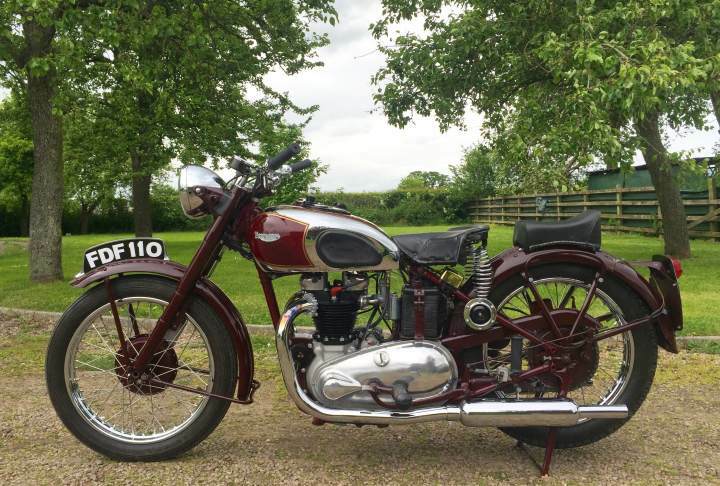 Triumph Speed Twin 1946 500cc In Amaranth Red and having been Well Restored Several Years ago with Correct Numbers . 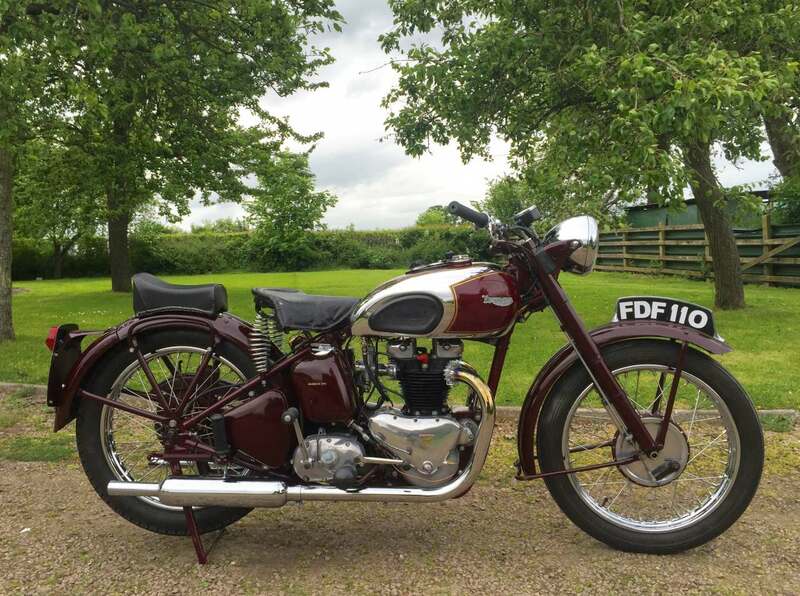 This Machine Starts First Prod of the kick start and shows Good Oil Pressure on the Oil Gauge in the Tank Panel . 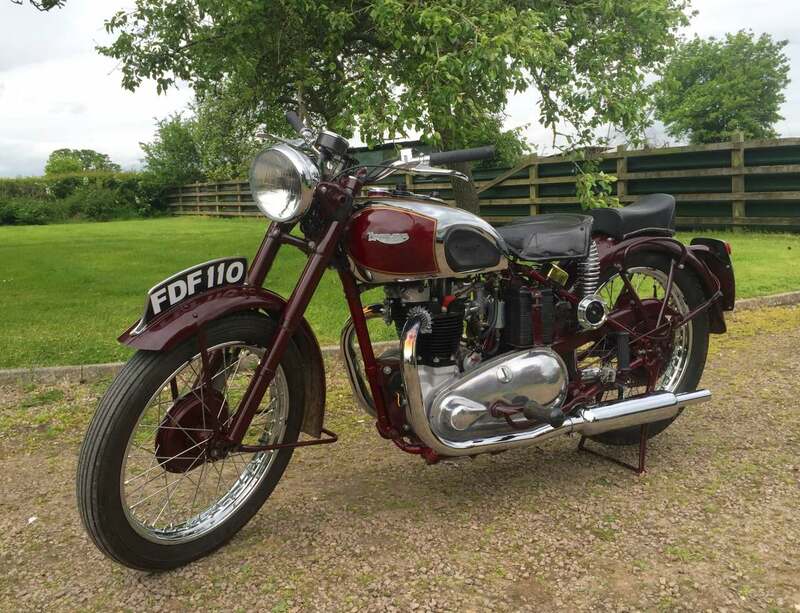 This one has the Rare Gallon oil tank probably a ploy by Triumph to use up prewar spare parts .As this is a Very Early Model is now Quite Rare and Therefore a Great Investment as Well as Fun for Those Sunny Rides Out.